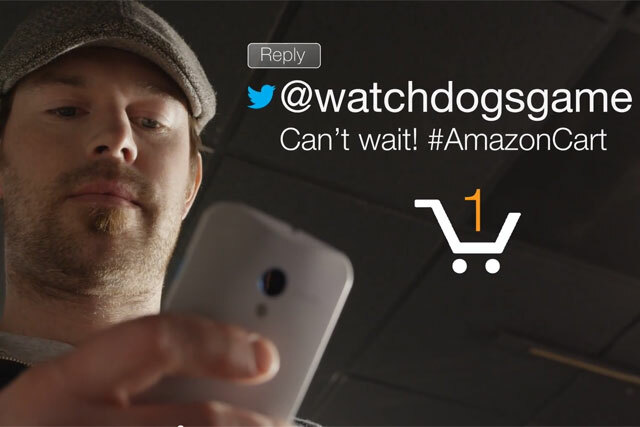 Amazon has partnered with Twitter to launch the '#AmazonBasket' service that allows shoppers to add an item to their shopping basket simply by replying to tweets. Users need to adjust the settings on their Amazon accounts to use the service, which allows them to instantly add items to their basket by replying to any tweet containing a URL link to an Amazon product with the hashtag #AmazonBasket. The service has been introduced only in the UK and US so far. In the US it is called 'AmazonCart' and requires Twitter users to use the #AmazonCart hashtag. The official Amazon account has been tweeting a series of "deals of the day" with the #AmazonBasket hashtag in order to drive take-up of the new service. Shoppers who use the hashtag receive a message from @MyAmazon to inform them if the item was successfully added to the cart. Twitter has partnered with Amazon for the service in a move to find new ways to monetise its service, as it increases efforts to make its first ever profit. By tapping into e-commerce, Twitter hopes to benefit from a rapidly expanding market both in the UK and the US. In the UK, retail e-commerce totalled £45.5bn in 2013 and the figure is expected to grow by 15% in 2014 to reach £52.21bn, according to eMarketer. The US expects similar growth, with eMarketer forecasting retail e-commerce sales to increase by 15.5% in 2013 to $304.1bn.